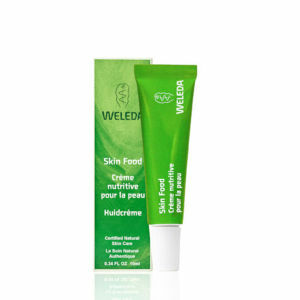 This is not the first time I have purchased Vileda Skin Food ,it is great for anyone who suffers from very dry skin .My Exzema had been flaring up and this really helped ,I was scratching my arms over night which was making the Exzema worse but this cream which is more like a balm texture really helped ..I have purchased much more expensive balms/creams but found this little gem at such a great price is better than most of them . Little known secret product that models use (and me!) I use it on my very dry skin at night and in the morning, plumps my face and gives a dewy look. All this and a great price and eco credentials as well, what's not to like!